This unit is configured with one Superking bed and a separate bedroom with two single beds in it, kitchenette and bathroom. The cost of this unit per night is $140.00 dollars (superking bed) and each additional person is an extra $30.00 dollars per person per night with a maximum of 5 persons in this unit. This unit is configured with one Superking bed and a separate bedroom with two single beds in it, kitchenette and bathroom. The cost of this unit per night is $140.00 dollars (superking bed) and each additional person is an extra $30.00 dollars per person per night with a maximum of 4 persons in this unit. This unit is configured with one Superking bed in the lounge and a separate bedroom with two single beds in it. The cost of this unit per night is $140.00 dollars (superking bed) and each additional person is an extra $30.00 dollars per person per night with a maximum of 4 persons in this unit. 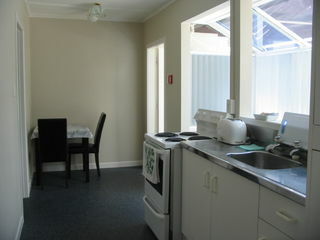 This unit is configured with Superking bed in the lounge and a separate bedroom with two single beds in it. The cost of this unit per night is $140.00 dollars (superking bed) and each additional person is an extra $30.00 dollars per person per night with a maximum of 4 persons in this unit.